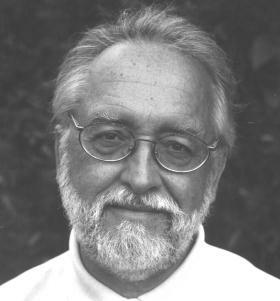 Welcome to the official website of the Czech-American contemporary classical composer Tomas Svoboda, born Dec. 6th, 1939 in Paris, France. * Tomas Svoboda suffered a major stroke on Dec. 12, 2012. For latest update, go to the What's New webpage. This site contains over 1000 pages of sample sheet music and more than 260 audio clips of music by Tomas Svoboda. Sheet Music Samples can be viewed in your browser, but will require the free Adobe Acrobat Reader or Apple Preview should you wish to print the sheet music. Copyright © 2000-2019 THOMAS C. STANGLAND CO.
Photo: © Pavlina Summers; Used by permission. Every effort has been made to have the correct prices posted for each publication. Should an error be found while processing an order, an email will be sent to the purchaser with that information, giving the purchaser the option to cancel their order. All materials at this website are for perusal purposes only. Any reproduction, publication, distribution or public display of audio or visual materials provided on this website, in whole or in part, is prohibited without prior written consent of the copyright owner(s).